This summer, ABC will attempt to resurrect one of the most legendary game shows of all-time: "Match Game." During its run in the 1970s on CBS, "Match Game" became a roaring after-school success with its relaxed atmosphere and bawdy humor that made it feel more like a cocktail party than a game show. Before Alec Baldwin takes over hosting duties, let's look back at the stars that made the original a smash hit that has yet to be replicated. 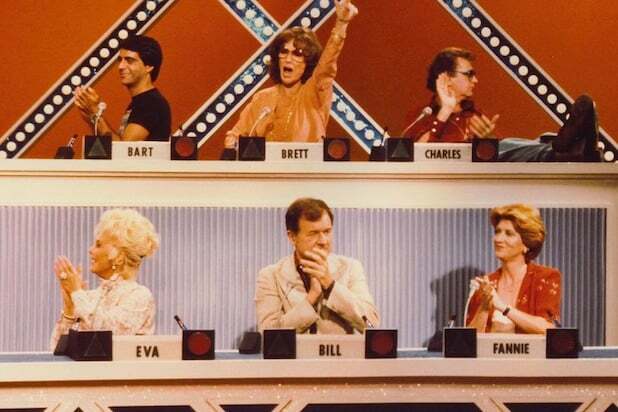 "Match Game" started as a straight-laced NBC show in 1962, with two contestants trying to match answers with a celebrity. The show nearly got cancelled as viewers found it to be staid and boring. Shortly after NBC cancelled the show in 1963, the producers decided to run its final tapings with more risqué prompts like "John always liked to put butter on his _____." The ratings rebounded, and NBC kept the show running for another six years. The "Match Game" that most people know today was born on CBS in 1973. Like its predecessor, it started with no-nonsense answers before taking a wacky turn. In this format, contestants were asked to fill in the blank of a raunchy joke and would get points for each celebrity whose answer matched theirs. The show quickly gained a rabid popularity among teens thanks to a regular stable of naughty stars. 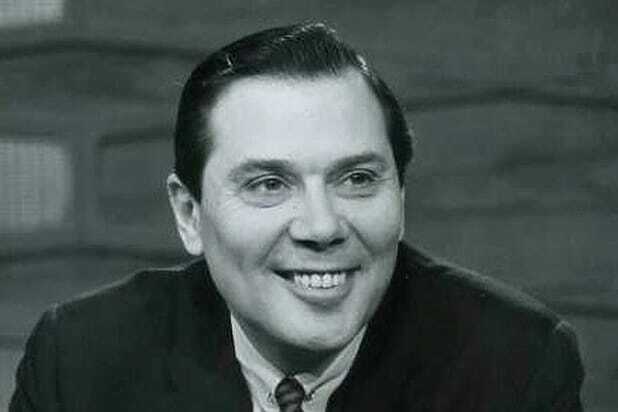 First was the show's host, Gene Rayburn, who would keep the show's chaos in line with a sneaky grin and avuncular warmth. He would become known for shooting down a lame answer from a celeb with the retort, "That's a rotten answer!" Rayburn would also get into playful spats with the stagehands and cameramen when they didn't do what he wanted them to, sometimes even trying to grab the camera from their hands and ripping off pieces of the studio equipment. Leading the celebrity panel was actress Brett Somers, a grumpy lady who would often snap at the audience when they booed her answers. Like Rayburn, she also had a rivalry with the crew, namely the guy who would sound the buzzer whenever her answer didn't match. Sitting next to Somers was her frequent comedic banter partner, Charles Nelson Reilly. Reilly would often come to the show smoking a pipe and wearing the most outlandish 70s outfits you could imagine. One of his most common running gags would be his tendency to repeat Somers' answers. Completing the group of regulars was Richard Dawson, who spun his time on "Match Game" into becoming the host of "Family Feud." Dawson quickly became a favorite amongst contestants for trying harder than any other panelist to write answers most likely to get a match. Of the semi-regulars on the show -- and by far the most popular -- was future internet sensation Betty White. Many were surprised to see her subvert her wholesome "Golden Girls" reputation with SNL skits and Snickers commercials, but "Match Game" fans know she's been naughty for years. When Somers once said she was the first to finish with her answer, White responded, "You were finished a long time ago, sweetheart!" Even as the naughty jokes lost their edge, "Match Game" found lasting power in the familiarity between Rayburn and the regular stars. 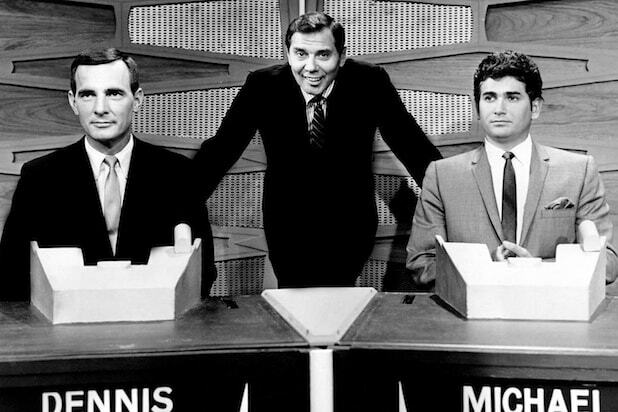 Somers, Reilly, and Dawson knew just what to say to push each others' buttons, while Rayburn eschewed the tendency of most game shows to keep the game moving along at a constant pace. He gave the celebrities the time to joke around and make the audience feel they were right in the studio with them. Alec Baldwin certainly has the comedy chops to carry on in Rayburn's footsteps for this ten-episode "Match Game" revival, but previous revivals have failed to match the chemistry the original lineup had. Can the producers of this edition find a celebrity panel that can help Baldwin bring the laughs? We'll find out when "Match Game" returns June 26.